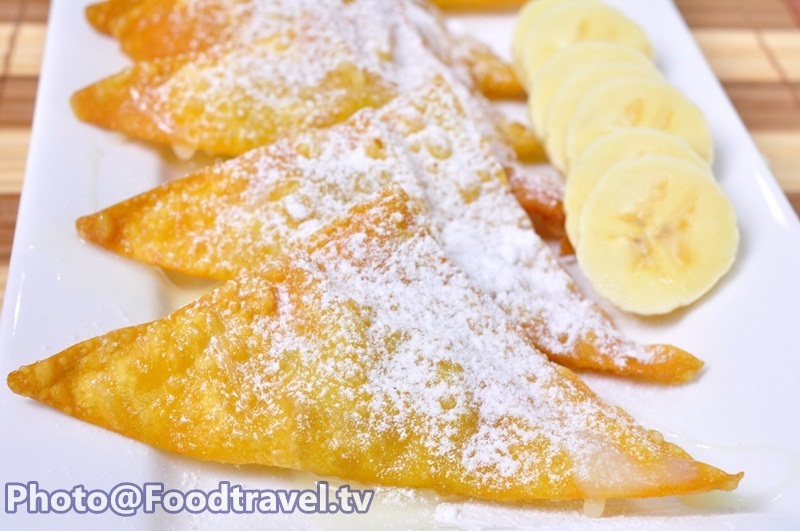 Fried Dumplings Banana (Giaew Glauy Tod) - Fried Dumplings Banana is a simple menu but so delicious. This is a favorite menu for many people. 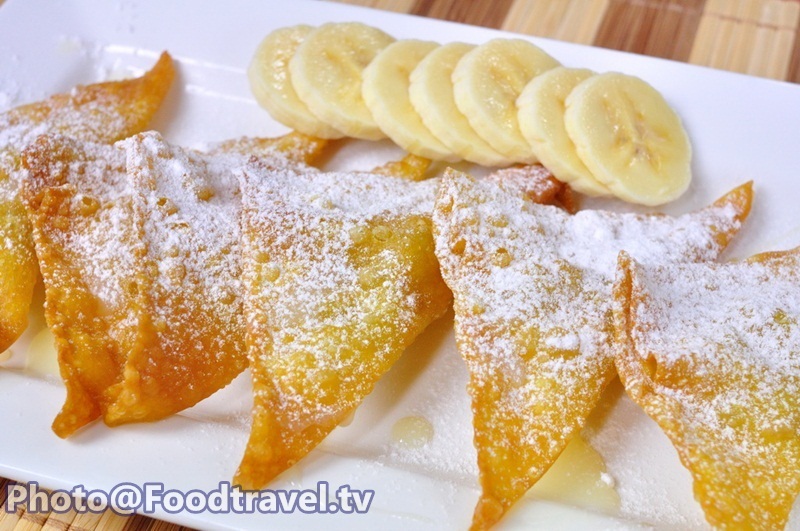 It’s combined between dumpling and banana to make a delicious dessert. You can make for everyone in your family. 1. 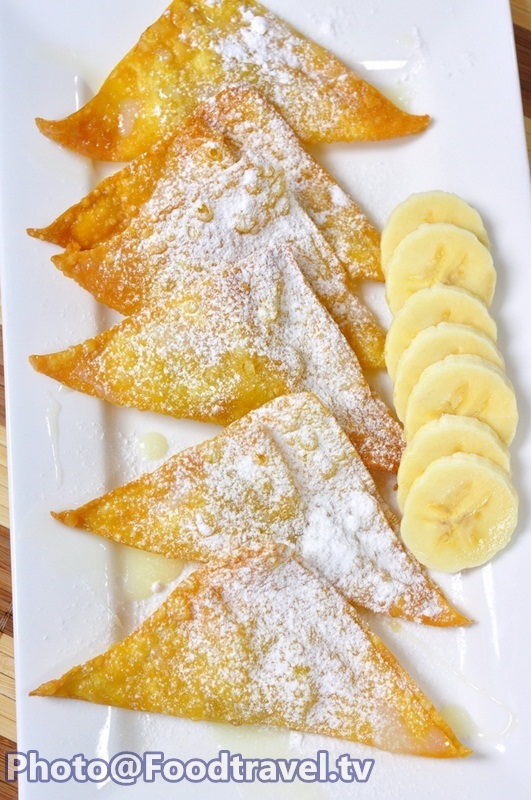 Slice banana (or cut into a dice). 2. 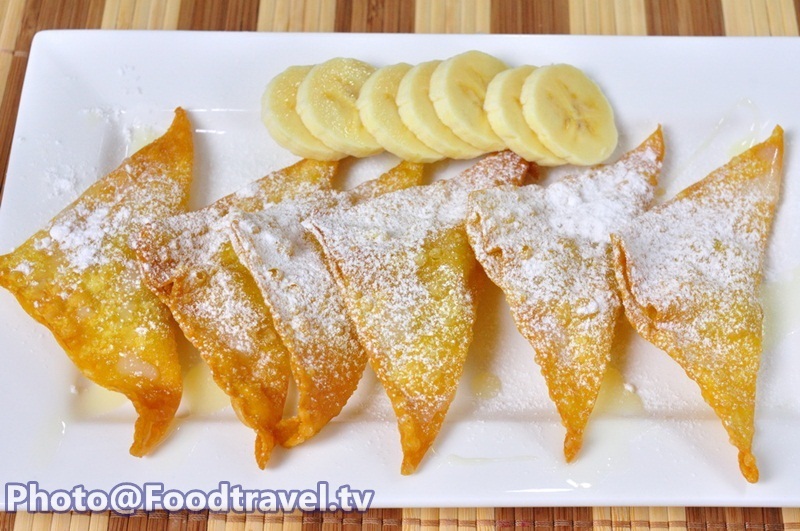 Spread dumpling, place banana on it and apply with water to make the dough stick together. Push the air out. 3. Fry on medium heat until golden brown on both side. 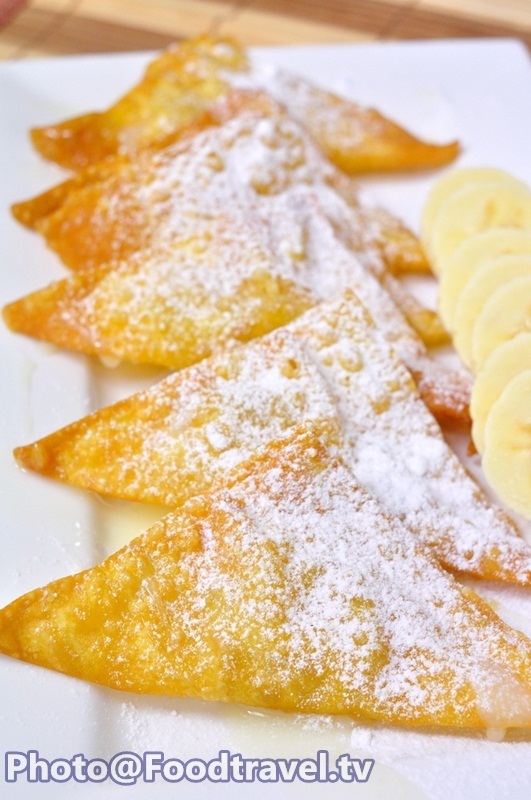 Put on a plate and topped with sweetened condensed milk. Ready to serve.